Water infiltrations can cause leaking walls, molds, insect infestation etc. 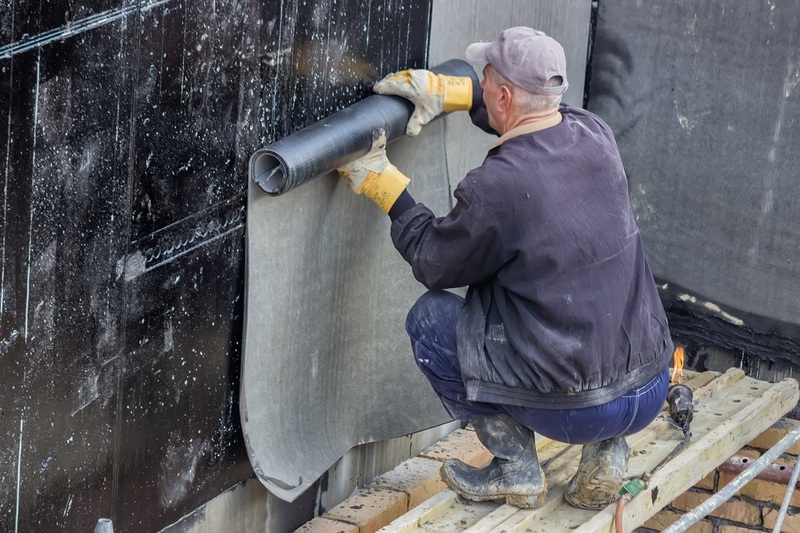 Waterproofing is the method that can prevent the water from entering the surface of the building. Entire building must be waterproofed especially foundation and basement to avoid water from seeping into the wall spaces where dampness can create molds. Not only this can lead to an unhealthy environment and foul smell but also can pose threat to electrical systems and lift systems and it can weaken the entire structure. With waterproofing basement walls, you will get dry basement which prevents water from entering the wall spaces. Your house will be protected from leaks and flooding and so you don’t have to spend money on repairs. Moisture and leaks in the walls can help in the growth of the molds that can be a serious health issue for the family. Waterproofing foundation and basement can prevent this from happening. It can protect the investment that you have made on the house that will be with you for a long period of time. 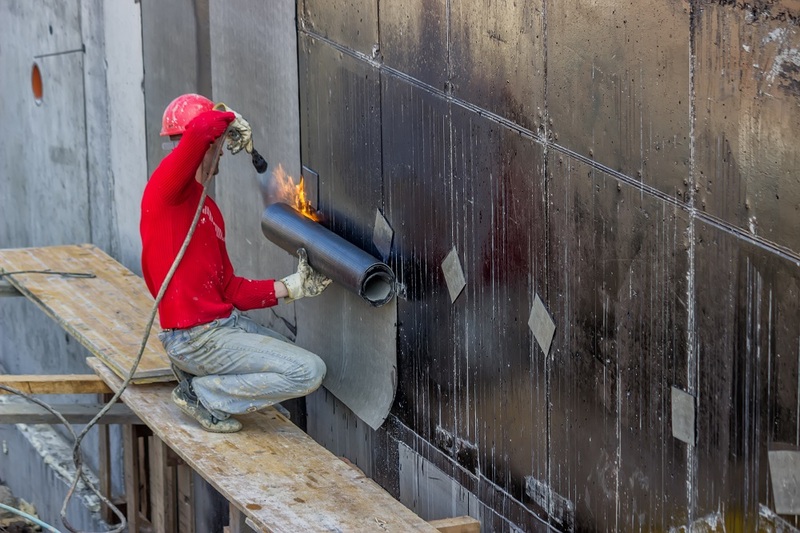 Positive waterproofing: In this method the surrounding of the building wall is dug for about a meter or so deep and the waterproofing material is applied. This method is used to prevent any damage caused due to hydro-static pressure from outside during the rainy season. Negative waterproofing: This method of waterproofing basement walls can be considered when it is not possible to do it from outside. This is a fast and easy method that many contractors suggest. But one must try to avoid this method as this is not reliable when water infiltrates and the waterproofing is not flexible to sustain against water pressure. Also care has to be taken to ensure impermeable materials are used and honeycomb structures are not formed. It is also possible to waterproof basements of already constructed building by applying stone tiles using injection grouting method. There are lots of things that have to be followed when you are thinking about repairing the leaking basements. The first thing to do during waterproofing basement walls is to find the source of water that is infiltrating into the walls. This can be done by conducting simple condensation test. If you are repairing the basement walls, make sure there is no standing water in them. The chance of getting electrical shocks or electrocution is high when there is dampness. So, switch off the power source removing water or fixing the leak. As a part of the waterproofing basement walls, you need to seal the interior walls with waterproofing materials. It is possible to apply high quality waterproofing paint that comes in the premixed form using brush or roller. The surface holes can be filled when you apply the second coat after the first one gets dry. You need to make sure that if there is any paint on the walls that should be removed before applying the sealer. If you find any cracks in the basement, then you can fill them using hydraulic cement. Never start the waterproofing process when there is standing water in the basement. Never forget to address the leaks from the window well because they are a common source of the leak in the basement. You must never apply masonry waterproofing product to bare walls. There are many ways and materials available to waterproof the basement and foundation. Waterproofing can prevent the damage caused by humidity and moisture in the building and thereby giving it an extended life.